An early medieval castle had been in ruins after a raid in the 1440s. In 1456, the condottiero (medieval leader of a professional military free company) and nobleman Bartolomeo Colleoni acquired the ruined castle from the commune of Bergamo. He enlarged and enriched it not only as a military base for his troops, but also as a seigneurial residence, in the typical Italian Renaissance fashion. 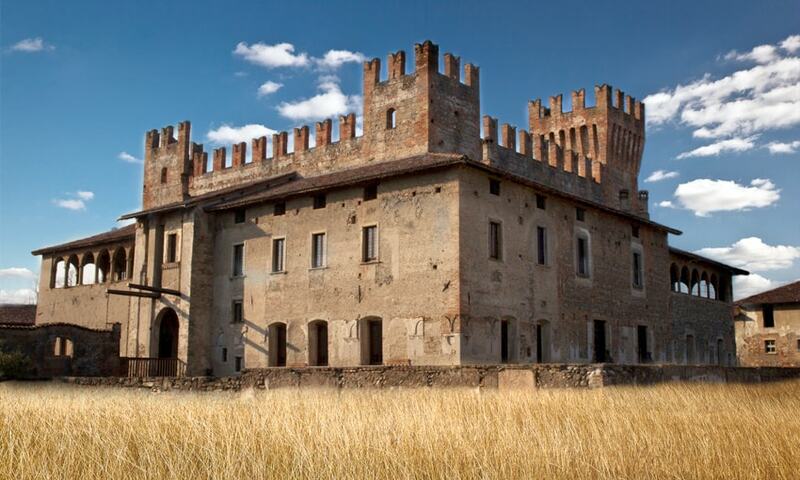 The castles main features are the interior rooms frescoed by the Renaissance painter Il Romanino.